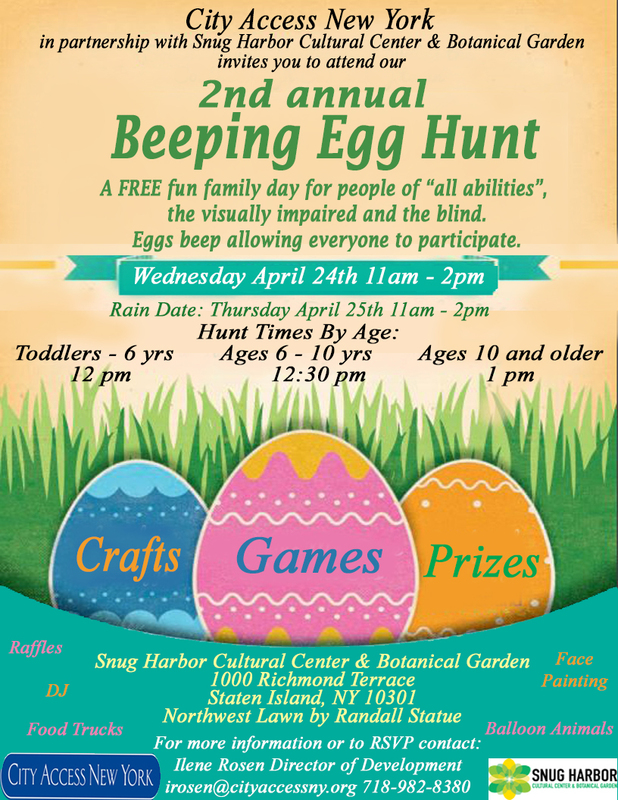 Join City Access on Snug Harbor’s northwest lawn for the second annual Beeping Egg Hunt, a day of free family fun for people of all abilities, the visually impaired, and the blind. The eggs beep allowing everyone to participate and have fun finding them. Volunteers will be on hand to assist those who need it. The event also include games, crafts, face painting, balloon animals, food, raffles, and prizes. See you there!